As a special thank you, I’d like to offer a free lifetime pass to my book, Data Synchronization: Patterns, Tools, & Techniques, to three lucky people. 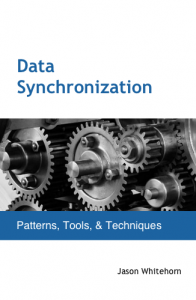 Data synchronization is hard, but it doesn’t have to be! After a long delay from blogging I finally decided to set my website back up. I’m going to be working on importing my archive of content, and also trying to add new content as time permits.